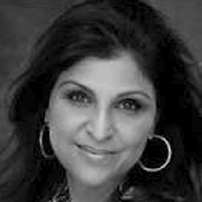 Padma is an Indian-born spiritualist, inspirational and motivational mentor. Padma aims to empower individuals to connect and understand themselves to achieve optimum mental and physical wellness. Uniquely positioned to work with both eastern and western systems of wellness. Alongside, people from different cultures with varied perceptions. Padma is a multi award-winning Entrepreneur. She ran a supremely successful Events and Entertainment business in Dubai (Omnilotus FZ LLC), recognised by the governments of India, UAE and Middle East, for her contribution to the community and society, at large. Padma hails from the first family of wellness and spirituality; a well-respected and distinguished line of sages, spiritual masters and Swamis. Padma has traveled extensively for the past 30 years, learning different aspects of wellness modalities from the masters. She brings with her, a wealth of knowledge around leadership effectiveness, talent development, team building, change family of engagement, culture, and goal achievement.